This is our last day in the US for awile. I am very exided about The Bahamas. I’m stil hoping to see a shark. And catch fish. 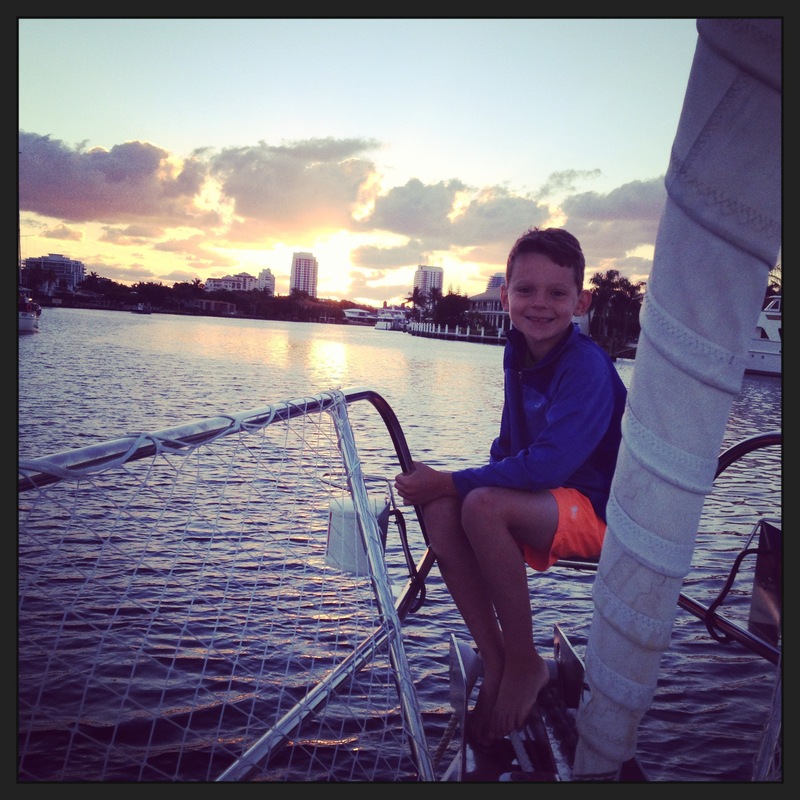 We have had fun in Miami and Biscayne Bay. 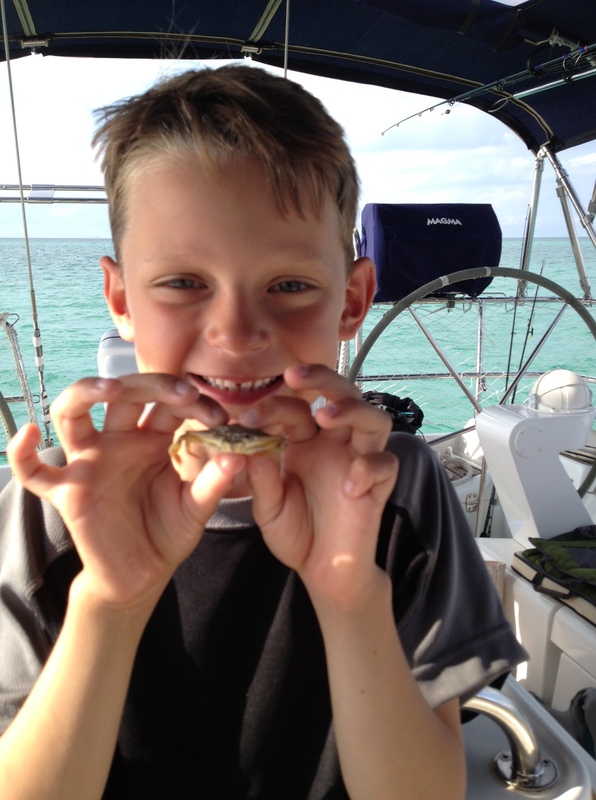 2 days ago I caht this crab in Elliott Key. I named him CJ (Cam and Joellen). He did not live throu the nite. But I did catch a hermit crab. His name is Ernie. He is now frends with Bert and Bob. 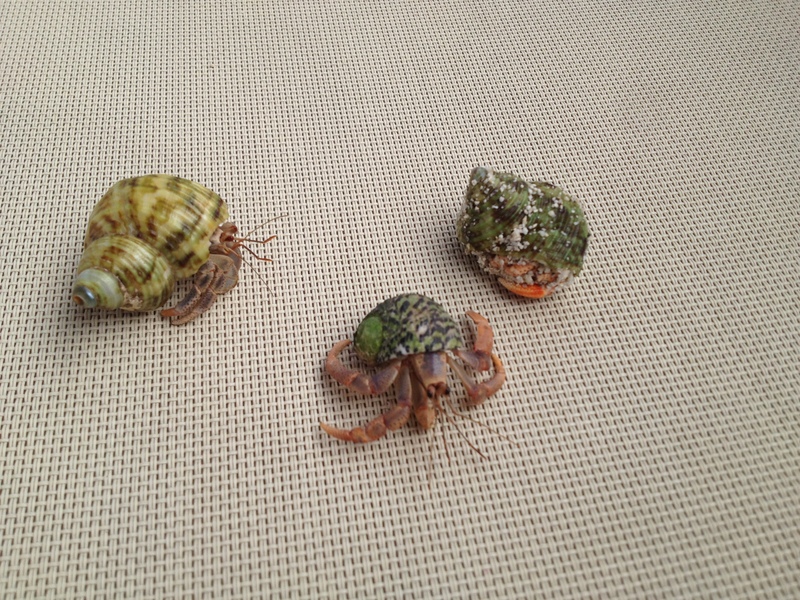 Joellen and I cleened our hermit crab cages and put in fresh sand from the beach at Elliott Key. Bob and Ernie swiched shells!!!!!!!!!!! That was crazy!!!! 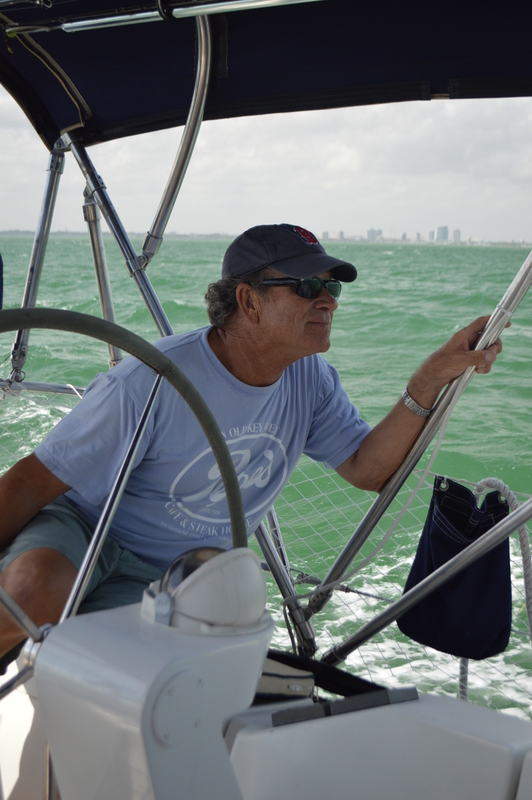 4 days ago our great friend Mr. Chip sailed with us. He was our boat naybor in Fort Lauderdale. He is really cool. He has a boat and a motorsikle! He likes to sail really fast. 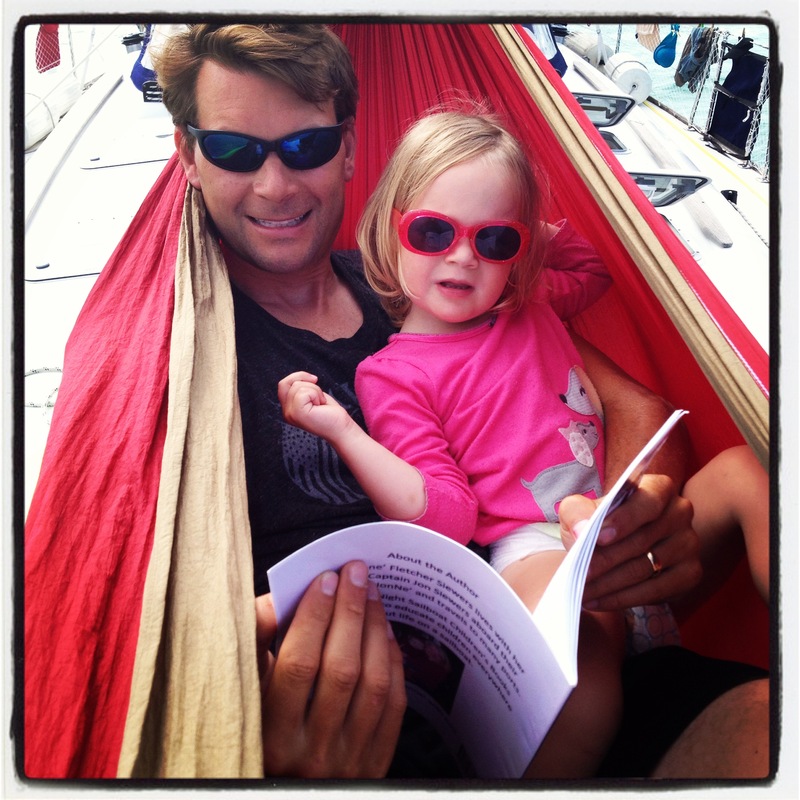 Thank you for sailing with us Mr. Chip!! He loves little kids, espeshaly Maria. Mr. Chip gave me my own benaculrs and I use them all the time. 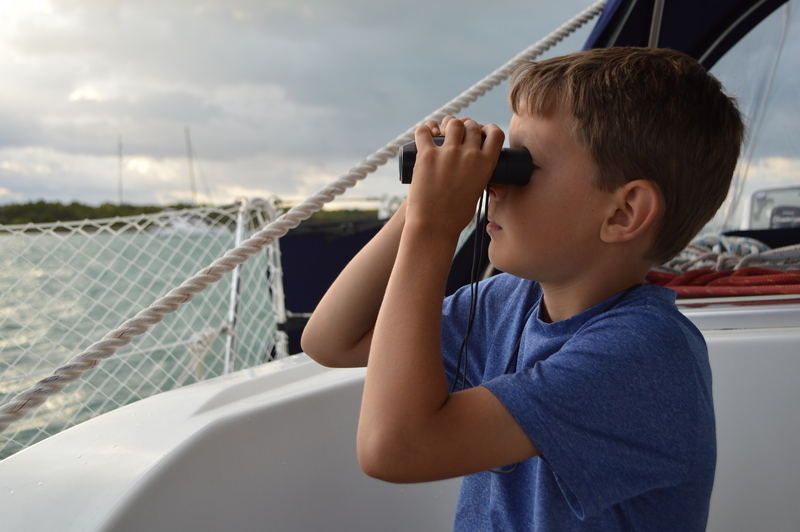 There are a lot of boats in Biscayne Bay and I love to spy on them with my benaculrs. There are also lots of police boats and helicoptrs. I love to spy on them too!!!! One of my favorit parts of the day is brekfist. My mom makes crepes every morning. Mmmmmm!! Jen and Marc update: We are leaving at 3 am tonight so that we arrive in Bimini with the sun above us. (Easier to see the depth color changes and reefs.) Also, if we have engine problems, it’s better to have a whole day to make repairs versus being in the Gulf Stream all night. We will have wifi in Bimini so we’ll get a blog post out this upcoming week (can you picture us doing the internet dance?). 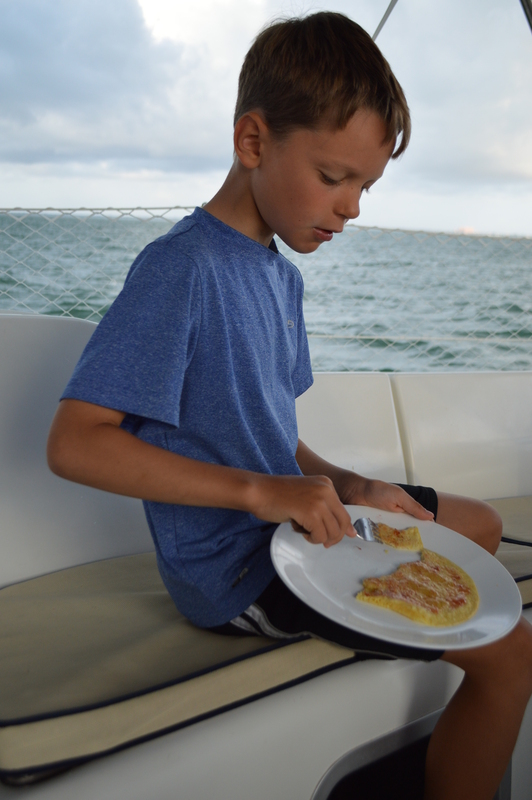 Yesterday we sailed to a marina and filled up on diesel and water for Adagio, gas for the dinghy, bait for the fish and ice cream for the kids. 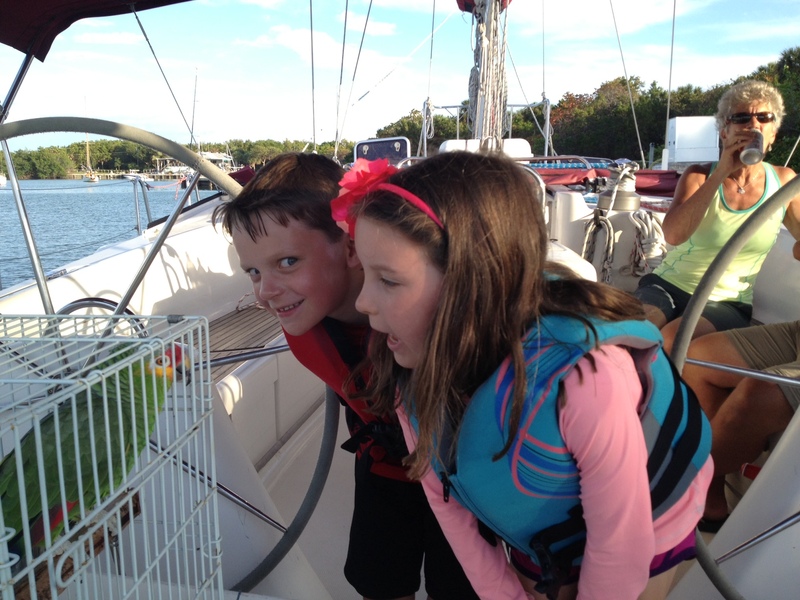 We are ready to set sail and do this! TR – We were just at the Hemmingway bar yesterday and played the ring game. When are you guys coming to visit. We would love to have you guys on the boat. Let’s make it work. 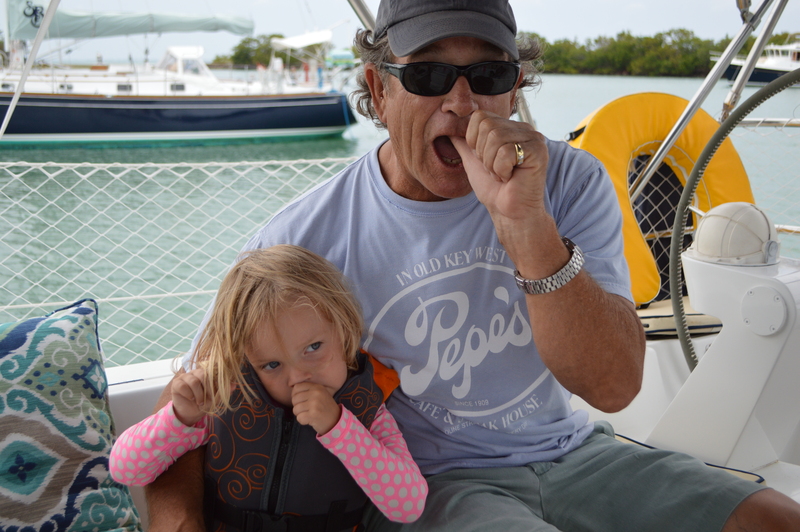 Camden, any fish sightings on your way to Bimini ? We didn’t end up putting the fishing poles out on the way to Bimini. But we did see dolphins. And I’ve seen lots of sharks here in Bimini!!!!! So is it good crazy or bad crazy 🙂 Thanks for the prayers. Our boys always brought home crabs from Florida. It’s cool how they switch shells! I wish I was getting to watch for dolphins. What’s the difference between a dolphin & a porpoise? Have fun! The dogs send kisses! Good luck with your big travels! Love this posting! I can truly see your adventure through everyone’s eyes. Thank you for sharing. God Bless You and safe sailing! That is soooo crazy that the crabs switched shells!!! How long did it take you to figure that out?? Oh man, that is cool! 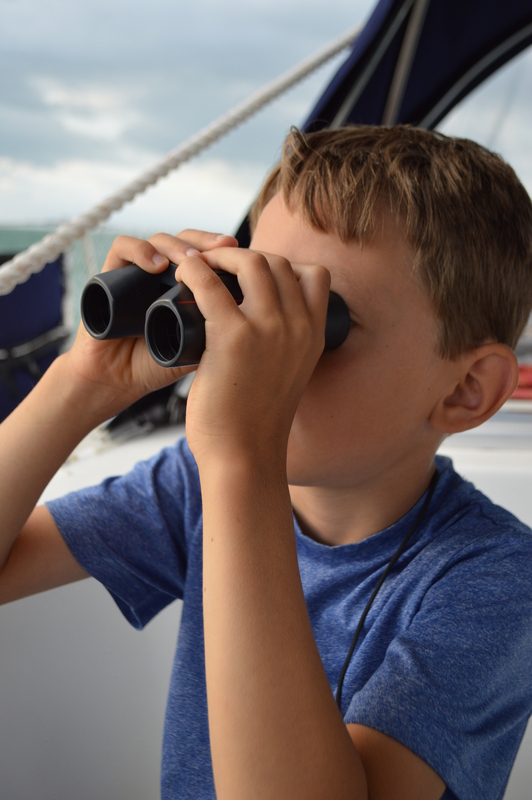 I bet you are having so much fun with your binoculars, they are so fun! God Speed Konesco’s!!! We miss you all bunches!! !